We are making the add-on in Japan My name is "Minagawa railway". This Sentence was translated by Google translate so it may contain grammatical error. sorry. 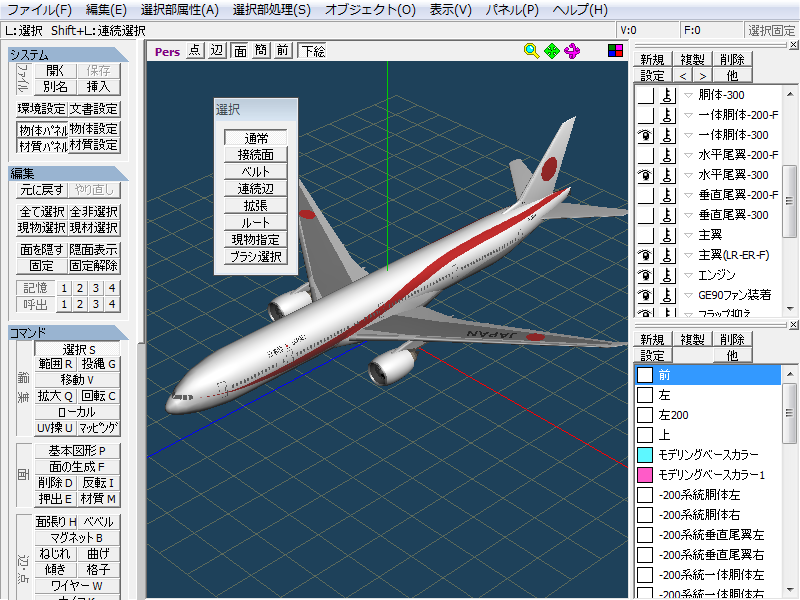 I, took over another author of intention from 2012, by using a self-made 3DCG model, I make the add-on. These add-ons are available at the following page. I can think bad, but I hope you it is put to us with. It was made first in the Airbus A330-200, was a request from the people of Lebanon. 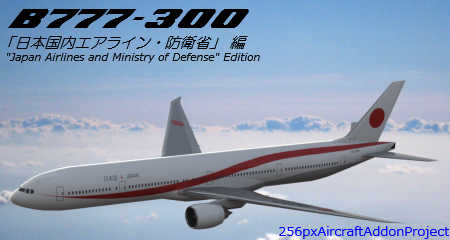 A330-200 is a add-on I was help us create texture towards several people. Then we created a Kawasaki C-1 that made all of the work yourself. Currently, if you are a B777 series production, it is scheduled to make about 120 kinds in the difference of the type and painting. Nice! Welcome and thank you for posting! The size of the aircraft is large, it is to match the sense of scale of rail and bus. 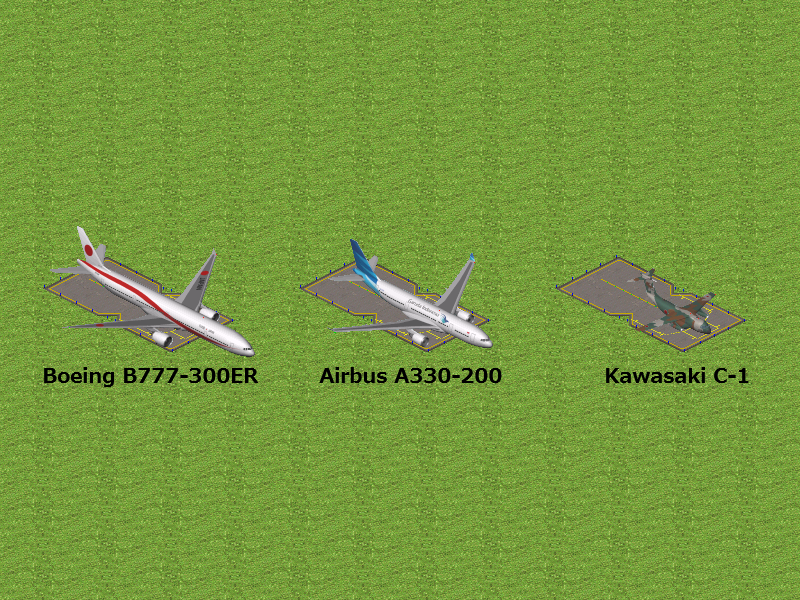 Aircraft we made slightly larger because the railway and bus total length has been deformed. The aircraft based B747-400 other authors like, and determines the size to fit the size of the actual aircraft. Therefore, when the side-by-side I think that was easy to understand the difference in the size of each model, but it might be too small in default of equipment. Once, but there is a taxiway and the runway towards the phrase author has produced, not URL swelling because it does not yet get a permit to the person. It should be noted, and the A330-200 set what has been released, you have put a screen shot of the B777 (-300ER) during fabrication. 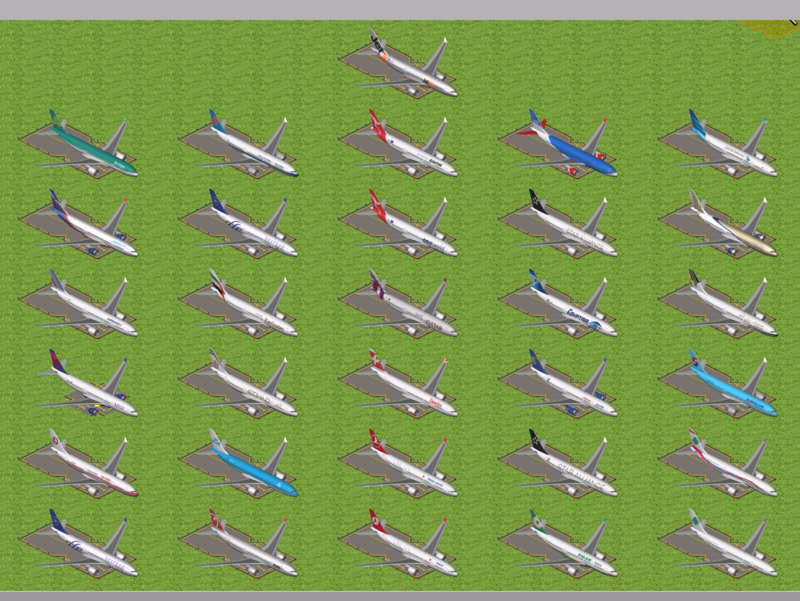 would you release 747-400 models? 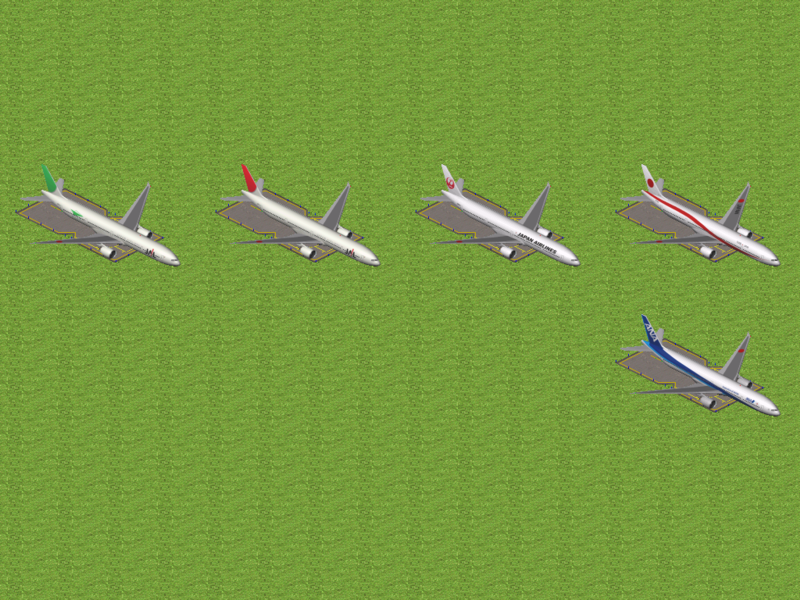 For the B777, it is a stage that a little more in the possible release after the first series. B747-400 is part is published here. While increasing the repertoire of the B777 in the future, we plan to go to an increase in remodeling and new painting of the B747-400. 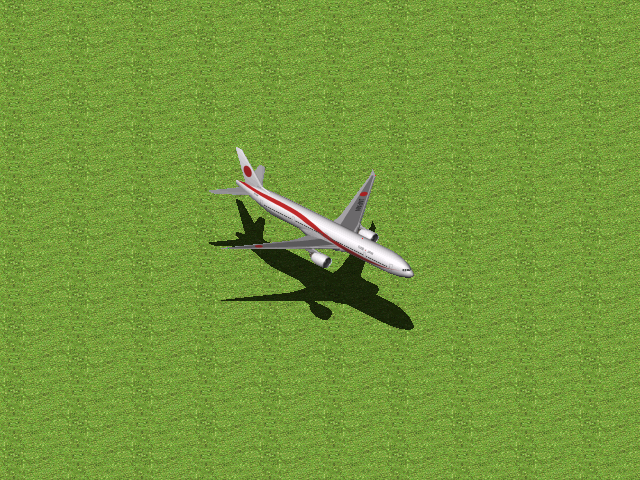 By the way, B777 add-on first shot looks like this. hope you will publish it. 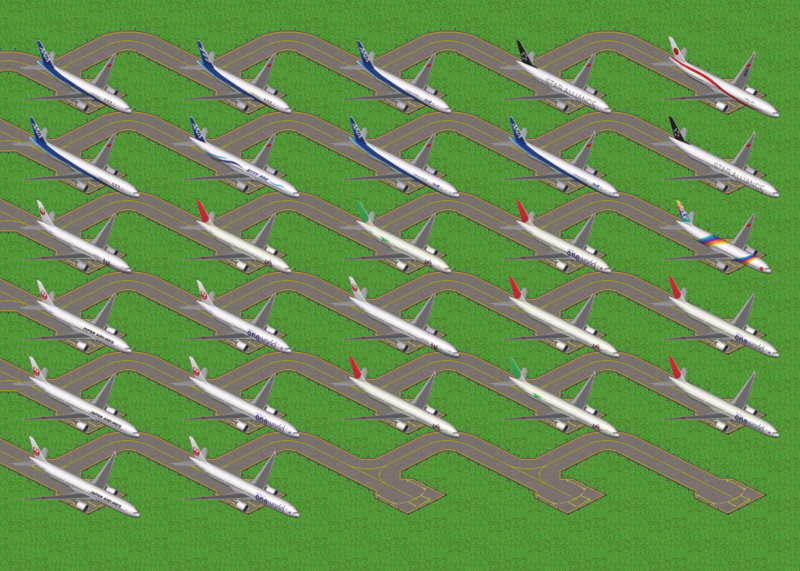 p.s: will you make A330 of dragonair and hong kong airlines and A320 of hong kong express? BoeingB777 set Vol. 1 has been released. Those look very good. May I ask whether they were made with 3d modelling software and rendered? will you release vol. 2 of B777?